Printers that turn your digital photographs into physical ones have existed for years, but this one from the Impossible Project has an intriguing difference: it’s actually a miniature instant photo lab. 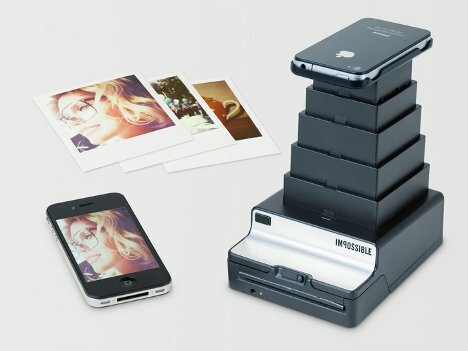 The Impossible Instant Lab uses just the light from your iPhone’s display to expose a slide of instant film. The unique instant photo lab was created and developed by a group of committed instant photo enthusiasts. They bought the world’s last remaining Polaroid instant film factory in the Netherlands and went to work designing a device that could combine the magical beauty of instant photos with the modern habit of taking tons of iPhone photos. 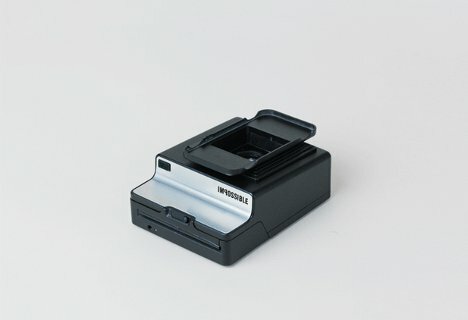 As mentioned before, there is already an abundance of photo printers for turning your iPhone pics into physical photographs. But the pictures made by those printers lack the unique aesthetic appeal of the classic Polaroid. The Kickstarter project is in the process of raising $250,000 for its initial production run, and judging from the amount of money already raised, they’ll have no problem hitting their mark in the 27 fundraising days left.